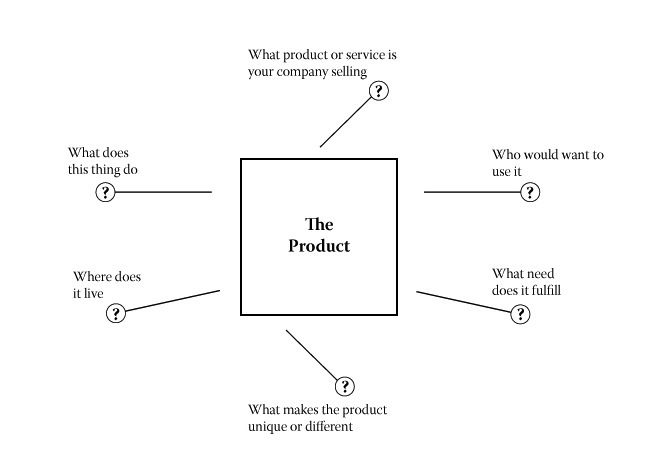 Should you build a product without a channel? If you build it, will they come? It’s a rare few these days who would take the risk based on the Field of Dreams riff “if you build it, they will come”. Most of us spend at least some time looking at market opportunities, niches or areas where products/services could be made better/faster/cheaper. Certainly all worthy considerations. I also think it depends on how much risk vs overhead is involved in producing the idea to get out the door. However, as Allison Bradley notes, you could also run the risk of devaluing your current brand in the process. A friend of mine works for a company manufacturing high end consumer home products. Hard goods. You would spend close to 5 figures on one of their products. They’re a small company, and they’ve been spending resources to understand where their market opportunities lie at that price point, creating relationships with resellers and retailers, all things to ready for a larger distribution jump. A few months ago the CEO walks into my friend’s office and says “I’ve commissioned 5,000 lower cost units to begin assembly next week for to sell at 1/4 of what we’d retail our main product line. We (you) need to figure out how to get them into the marketplace and sold”. Whoa, right? The effort and market positioning to date has been focused on a much higher end.Cross selling can be tough, Ian Smith offers some practical actions. I’ll post updates as events transpire. What steps would you take to get this product out of the warehouse? In my last post I referenced a person who wasn’t interested creating more of a presence and audience for themselves based on their open source project contributions. While some of you thought this was refreshing (maybe doing this for the “greater good”) I disagree, and here’s why. If you’re building, growing or just founding a business, you are the brand. The basis for your ability to produce growth in whatever sector you’re is based on your personal reputation and beliefs. Clients buy services, hard goods, widgets from companies they connect with. How can they connect with your business if you’re not showing them who’s behind the brand and what you’re capable of? We’re the best/most experienced. Hire us. We’ll do some work for you. Are you engaged? Probably not. When I was running my (small) manufacturing company, most times, even with a full set of staff on the floor, I would answer the phone. Yes, my clients at the time still liked interacting that way. They had no compunction about calling us up and asking even the most mundane (and occasionally ridiculous) questions. Disruptive? Sometimes. However, these people were championing my product to the public and recommending me to other potent sales sources, so it was important they were able to understand and convey my/company beliefs. Many times their questions lead to an idea for a company blog post, a further opportunity to engage with our audience. If you’re not showing off a little “attitude” you’re missing out on an opportunity to widen the conversation about who you are, what you’re about and eventually why customers should buy from you. Being able to convey that attitude out to an audience is your altitude. We recognize with our ever-busy schedules meals can happen on the road or in transit. Our company creates delicious grab and go foods which can be enjoyed anywhere. Will you have lunch with us? Is a Major Contributor to an OSS Project a Brand? The short answer is, I should hope so. The longer one is most definitely complicated and inexplicably ego defined. Most developers (or anyone really), starting dipping their toes into open source projects because they thought it was cool and saw an almost immediate return on an issue they (helped) solve or an idea which got implemented and quite possibly built themselves into a SME (subject matter expert) in that area. This is true for almost any sort of project, I’m just using open source a handy example. SME almost inherently sets you up to be a brand; you’re known and sought out in as part of the project (and possibly outside of) from those seeking help from you or an opportunity to work within your area. The opportunities that this could be parlayed into – whether a new job or a line of business (and quite hopefully mentoring opportunities for new community members) are a reasonable side benefit to project participation. I had a conversation with a major contributor of a OSS project. This contributor has been involved in their community for many years and is a SME in a few areas of the project. So I posed the question of why weren’t they creating more of a public presence for themselves in blog posts, other social media, etc. – in effect promoting themselves as a brand? Granted, everyone’s vision of what outcome their involvement in project is different, but if you’re looking to create opportunities for yourself and business by project participation, why would you ignore the opportunity to build an audience? What do you think? Are you a brand? After writing this and setting it down for a bit, I have some additional follow-up thoughts about this.